Steam-assist cooks product faster, reducing average cook time by up to 35%. Increases available kitchen square footage by up to 60%, providing more all-in-one flexibility. 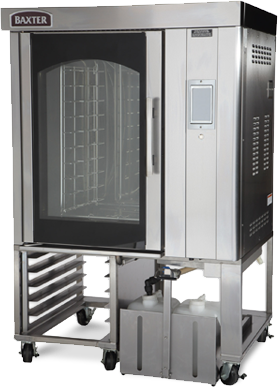 Replaces current rotisserie, combi, steamer and convection oven without sacrificing quality. Reduces water use while cooking and cleaning. And the self-cleaning feature can also lower manual labor costs by up to 80%.